The SHERIDAN Living Textures Towel Range in Snow is a luxuriously soft and plush set, and actually engineered to capture water faster. 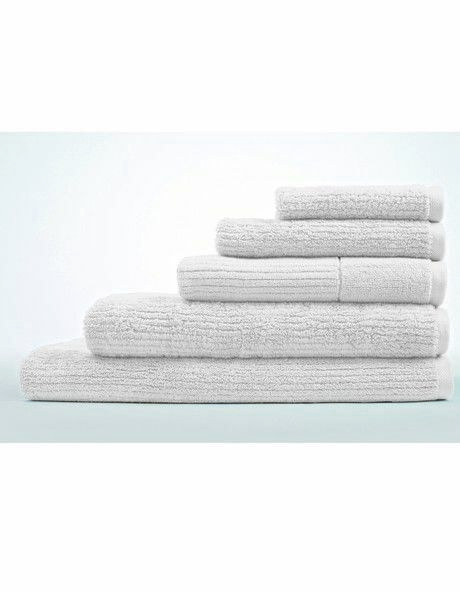 These opulent and thick towels are made of 100% combed ring-spun cotton that is not only super soft but also super absorbent with rich thirsty fibres. These ribbed towels are available in a palette of contemporary colours from neutrals to statement tones.